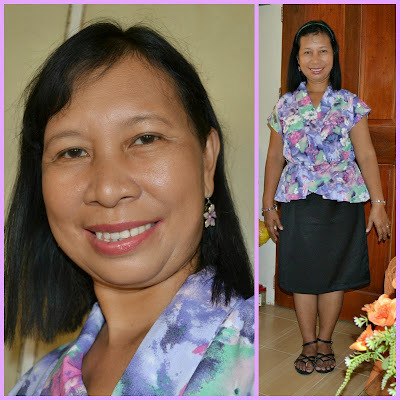 I wrote in my previous post that I shopped for some clothes and a flat sandals online from Zalora. 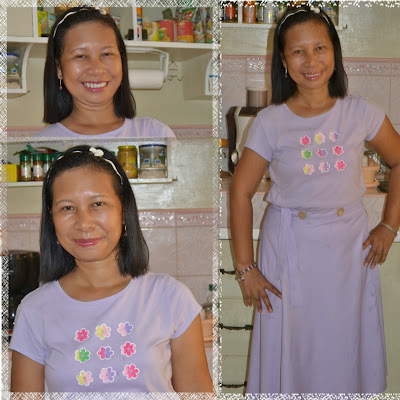 I promised that I will post here some photos wearing those stuffs. It took me 2 weeks after I got my package before I finally posted this here because I was not in the mood to change and pose in front of the camera. Laziness sets in again. But yesterday morning I decided to wear the dress and the flat sandals in going to church. I was worried it might not fit me because I gained weight. I ordered small size instead of medium but to my surprise it fit me well. The sandals fit my feet comfortably. I have no regrets buying it. When we got home from church, I asked hubby to take some pics of me before I change my clothes. I had to literally forced him to do it because he was watching tv and he was too lazy to take some pics of me. He said he'll take one but I said five because I will post it here in my blog. He did it unwillingly. Lazy bone, lol! Below are the pics he took. This dress looks like a blouse and skirt but it's not. 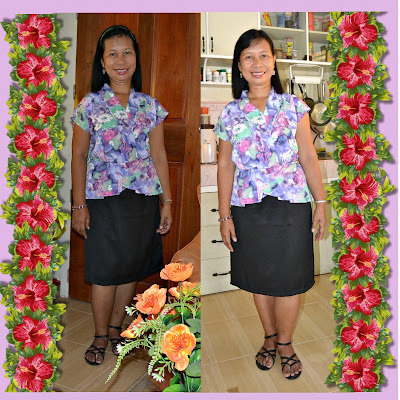 The black skirt is actually sewn and attached to the blouse so it's really a dress. I was wearing my black flat sandals as well which I bought from Zalora. 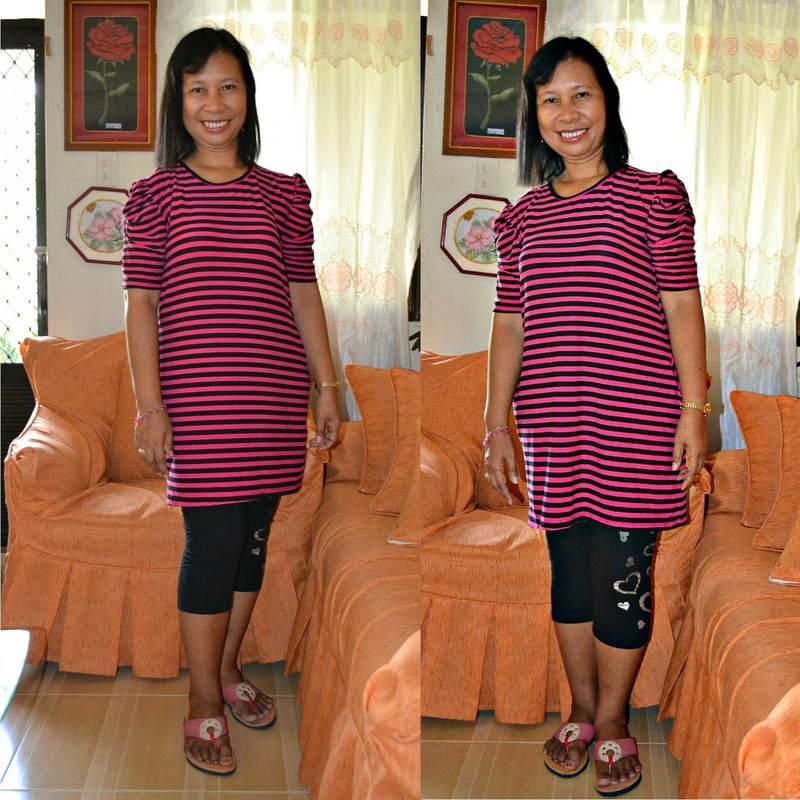 I changed my outfit and I put on the other blouse that I bought from Zalora and I paired it with black leggings. This time I called my 5 year old niece Vernice to be my photographer. I was really desperate to have my pics taken, lol! I had to teach her how to use my DSLR. She learned fast and took my photos with a smile. I think she is better than hubby, isn't she? So there you go. I'm done with my pictorials. I hope you didn't get tired looking at my ugly countenance. As I wrote earlier, I have no regrets buying from Zalora and I think I will buy from them again next time. This is supposed to be a mini dress but since I don't wear a dress above the knee, I had to pair it with leggings I think this get up make me look so chubby. I had to shed off those unwanted pounds soon. 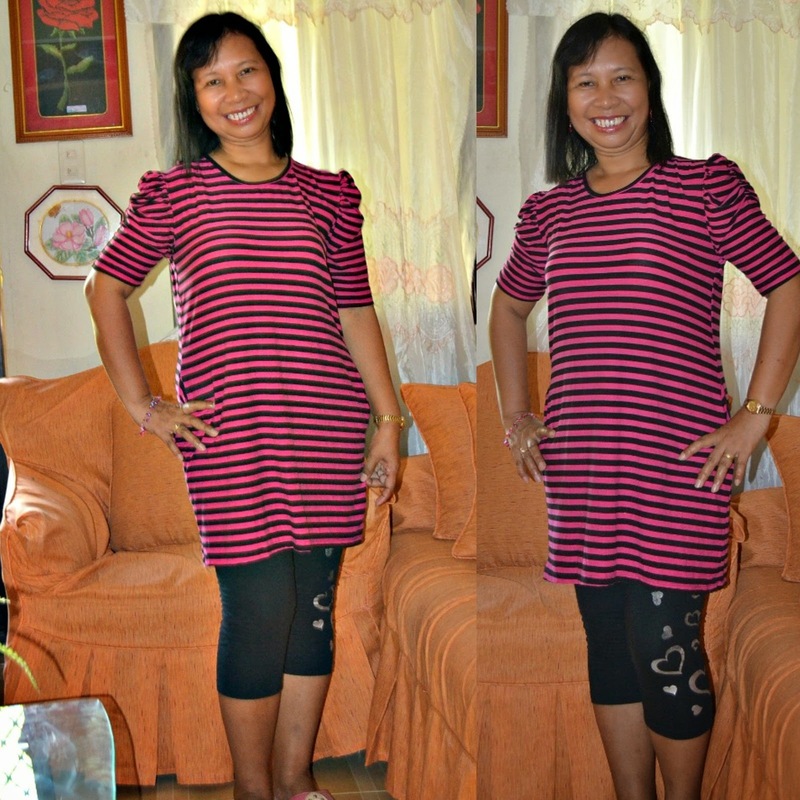 This is the reason I bought some new clothes because my old clothes are shrinking, lol! When you have a boat, you have responsibilities on keeping it clean and secured. A floating dock is a good option if you want to leave your boat in the water. It will give you easier access to getting the boat out on the lake instead of transporting the boat by truck to the landing. A floating boat dock is also convenient if you live on the water. Floating docks rise and fall with the tides instead of being concreted into the ground. They are often made of wood or aluminum. There are advantages and disadvantages to both types of material. You can include space near the dock to sit so that you can watch other people on the lake until you are ready to get your boat on the water. One of the things to remember about these docks is that since they float, you need to find the proper kinds of devices to place on the bottom of the dock to keep it stable. It is best to construct the dock on land as you will have more room, but you can put the dock in the water through the building process to determine how much it will float in the water and the amount of the floating devices you still need to add. 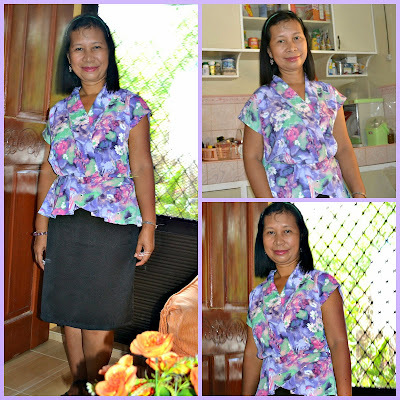 I've been reading quite a few posts of fellow bloggers who shopped online at Zalora. Most of their reviews are positive so I got interested to shop from them too. But it took a while before I finally have the time to put my order. Actually, this is a late post because I got my orders a couple of weeks ago. It took only a week after I ordered online before my orders were delivered to me. I live in the province so it took that long but if you are from Manila, in about 3 days, you will receive your orders. 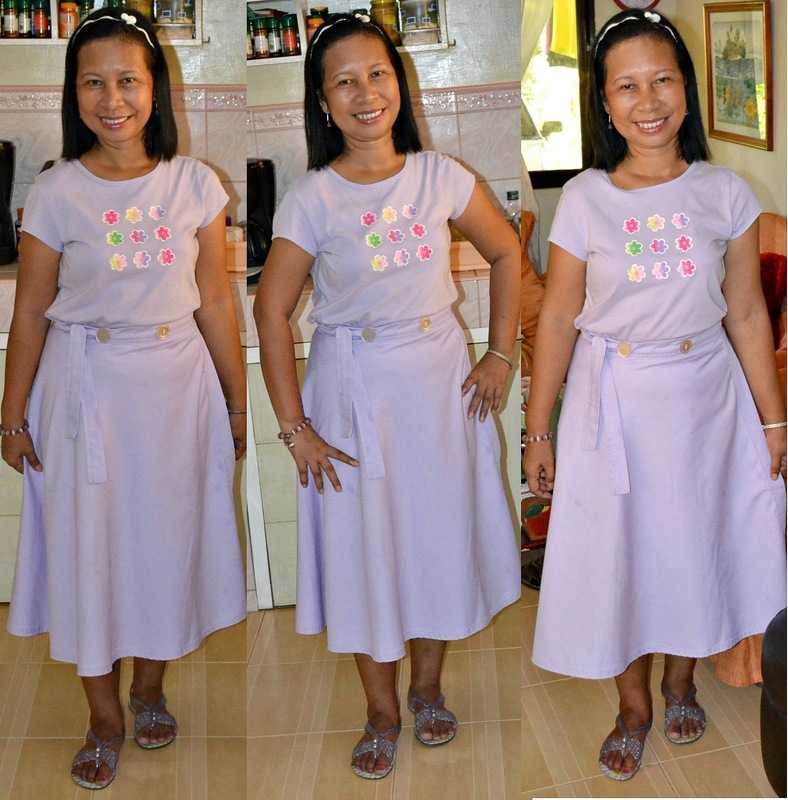 I bought me a dress, a long blouse and a pair of flat sandals. Shipping is 100 pesos if your purchase is less than 1k and it's free if your purchase is 1k and up. All of the stuffs that I bought were on sale and I also got a coupon so I think I had a good deal. Shopping at Zalora is easy as can be. You can pay online using credit card or you can pay COD (cash on delivery). I chose the latter even though I have a debit card. Below are the stuffs that I shopped at Zalora. I will post here next time some pics of mine wearing these stuffs that I bought so you can see how it fit me. I promise it will be in my next post so bear with me. The latest, all natural, sugar free product that has taken the health world by storm has also invariably raked up a whole lot of controversy. For all that it claims, is Stevia the ultimate sugar substitute that the world can finally bank upon? In the world of sweeteners, there is a constant buzz and a lot of talk about the latest sweetener entering the market or the latest research concerning a particular substitute’s health impacts. Since most of us are aware that table sugar and all forms of commercially prepared sugary foods products are harmful, experts recommend that the best way to keep a flat stomach is to keep away from sugar. But since our taste buds are so accustomed to sweet things that we instantly experience a withdrawal symptom if we deprive our body of sugar, and hence we turn to low-calorie sweeteners or no calorie sweeteners in its stead, to make up for the loss. Although most companies who manufacture and market sugar based substitutes claim low calories or nil calories in their preparations, increasing research on the harmful effects of artificial sweeteners is steadily damaging the reputation of most artificial sugar replacements. One such sugar alternative that has caught the fancy of the health world in recent times is stevia. An all-natural and plant-based product, stevia is calorie free and unlike artificial sweeteners, it is derived and sourced from nature directly. This particular plant is native to Brazil, where people for hundreds of years have been sweetening up their foods with the help of the leaves from the stevia plant. Scientific research on stevia has pointed out that this natural sugar substitute is more than 200 times sweeter than sugar itself. Given its sudden overnight night push into prominence, these days, stevia can be found in a number of health stores sold in the form of crystals or liquids. 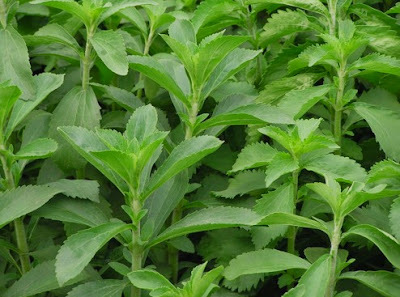 Currently, stevia stands to be the safest substitute for sugar, in spite of research under way. According to the Academy Of Nutrition And Dietetics, a research conducted on the extracts of the stevia plant, showed that specific chemical compounds found in the plant was generally considered as safe by the FDA to be used as non-nutritional sweeteners. However, the Academy also states that there needs to be a differentiation between the extracts of the plant and the actual leaf of the stevia plant, which might hold many more properties and has not yet been approved by the FDA as a sweetener. One particular study published in the International Journal Of Obesity revealed that participants who consumed stevia crystals as a sugar substitute experienced added health benefits such as an increase in good cholesterol. In addition another study conducted over a period of two years on Chinese participants revealed that the extracts not only helped in lowering hypertension but also that the long-term use of this substitute did not produce any form of adverse effects on the participants. At the end of the day, as with every other ‘too good to be true’ thing, stevia should be consumed in moderate amounts. Although the extract is considered safe to be added as part of a healthy diet and an agent in aiding weight loss, consuming more than recommended quantities of stevia can still maintain the addiction of sugar in an individual and could actually hamper diet efforts, in the long run. 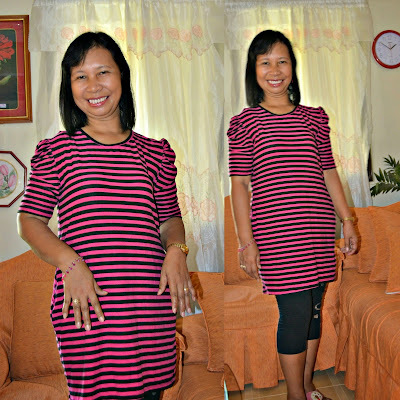 Carol is a health and wellness blogger, who likes to write useful articles on various fitness, exercise, diet and other health related topics. Currently she is studying about Garcinia Cambogia Weight Loss supplements, to write matters on these topics.